Laptops are very convenient because they can pack powerful computers in such a small frame. They give us the ability to carry our computers with us, and get work done in places that would be impossible with a desktop computer. You find yourself sitting a local Starbucks and are ready to finish up the last few pages on a document you have been working on. You turn your computer on, all the lights turn on, you can hear the HDD start, as well as the fan. However, nothing displays on the screen. You restart it several times, but nothing comes up. What is going on? There is a problem with the LCD screen. The most usual culprit is a bad LCD screen. This is especially true for older laptops. If you dropped the laptop, the LCD is usually first go. Even without signs of damage, getting your LCD screen replaced may fix the problem. There is a problem with the LCD inverter. In this case, you very faintly and dimly see an image on your screen. This is a simple fix, and relatively cheap. A new inverter will provide light to the screen. This is the best case scenario. There is a problem with the graphics card. The best way to determine this would be to hook up your laptop to an external monitor. If you get an image on the screen, it is not a video card problem and more than likely the LCD. It is very costly to replace the video card, but doable on some laptops. Others will require a complete motherboard swap. There is a problem with the motherboard. This is the worst case scenario. Usually this happens after falls and drops. If you get no image on an external monitor, and no results when swapping the LCD screen it is a motherboard issue and very costly to replace. The laptop screen being all black can usually be a major cause of concern. However, by contacting a computer repair company and performing the steps above, you can narrow down the issue. If your computer is old, it is probably better to invest into a new machine. 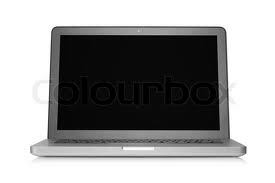 In any case, just because the laptop screen is black it doesn’t imply that the data is lost. 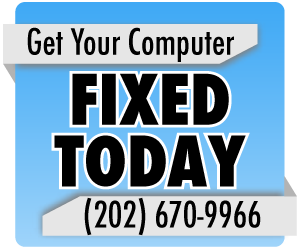 Have a computer repair technician recover the data for you. iCan’t decide: Which are better, tablets or laptops?